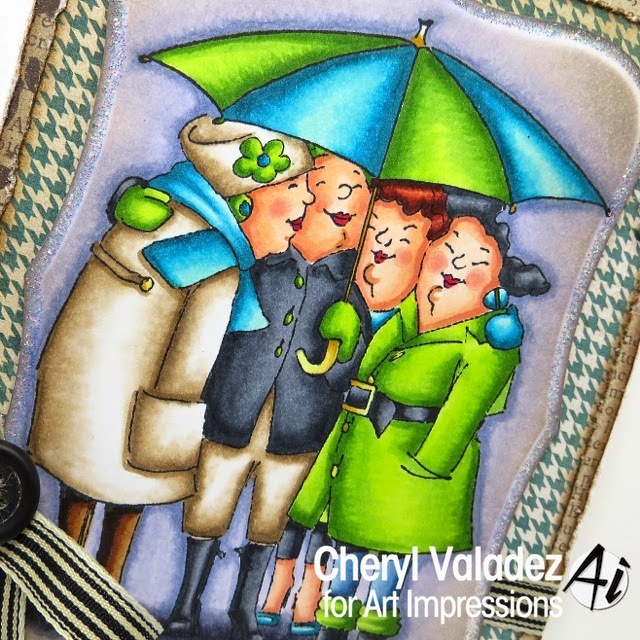 The Ink Trap: Under My Umbrella from Art Impressions! Hey, all! 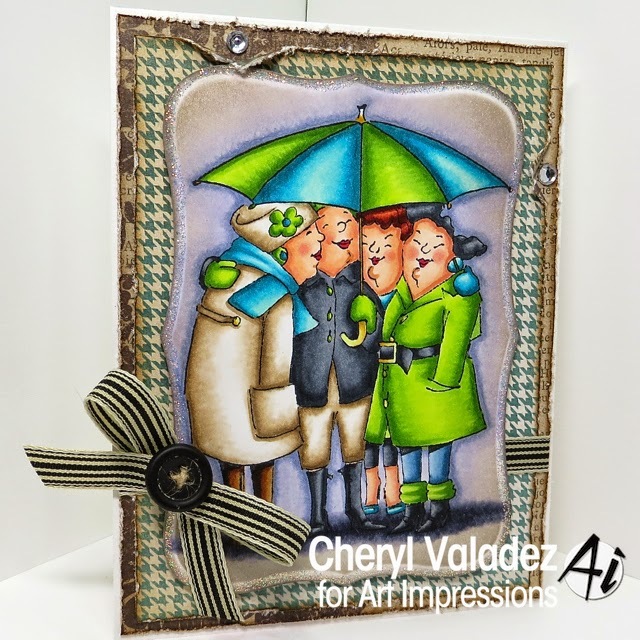 Back today to share a card I made for the Art Impressions blog. This one features those ladies we all love so much...the Girlfriends! This image is from the Under My Umbrella Set and can be found in the shop with LOTS of other cool stuff. Visit the Art Impressions Blog to join this week's challenge and to check out daily inspiration from the design team. Until next time (tomorrow), stay crafty! I love all your creations! Your colouring is amazing! Your coloring seems to glow through this rainy day.